Total wins for this year's awards far surpass Australia's efforts last year, which saw 71 Lions taken home overall. Clems Melbourne pulled in 56 awards in total, including 2 Grand Prix for TAC Meet Graham. 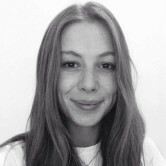 Meet Graham was the most awarded Aussie work at the festival, racking up 29 awards, beating the record held by McCann Melbourne's Dumb Ways to Die in total wins, which took home 28 awards at the 2013 Cannes Lions, including five Grand Prix. In total, Meet Graham pulled in 2 Grand Prix, 8 Gold Lions, 15 Silver and 4 Bronze Lions. Australian work was shortlisted 239 times, meaning 126 missed out on metal. Australia also missed out on scoring any gongs in the Creative Effectiveness category. 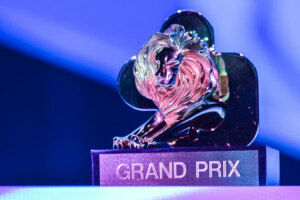 Despite a 59% increase in entries to the Creative Effectiveness category, only 21 Lions were handed out. This year, Burger King was crowned the Marketer of the Year and the festival honoured David Droga with the Lion of St. Mark for his contribution to the creative industry. While Graham was truly the king of Cannes, the queen of the creative festival was McCann NY's Fearless Girl, who scored 4 Grand Prix and 18 total Lions. Fearless Girl beat Graham in the Titanium category, which celebrates game-changing work in the industry. Australia picked up 113 Lions overall for the 2017 Cannes Lions festival, with Clemenger BBDO Melbourne winning Agency of the Year.